What an incredible experience, walking in the Tournament of Roses Parade. We are honored to be forever a part of the history of this wonderful tradition. We are thankful to you our supporters and friends who continued to cheer for us during this whole adventure. We are home now and would like to share with you a few of our favorite moments from the Tournament of Roses Parade. The theme for this years 2017 Tournament of Roses Parade is "Echoes of Success", celebrating those who serve others and help others succeed and meet their goals. Our goal at the beginning of our adventure was to impact as many as we could with our horses as we traveled across the USA. We succeeded at that, with many visits to children's centers and military facilities. Our dream trip came to a screeching halt in El Paso, Texas. Our horses started showing signs of being ill and after much deliberation we thought it best to bring them home immediately and get our very sick mini horses home. We were devastated by this news and filled with much doubt about this dream being fufilled. As we shared our predicament with friends, word traveled throughout the horse community. The Equine Committee of the Rose Parade was abreast of all the events that had been unfolding and were very supportive and worked along side us. I was contacted by a few people in our horse network and was encouraged to find alternate horses we could use in the parade. Finding horses with the parade experience and therapy experience we required seemed an impossibility at such short notice. That is when Jeanne, of So Cal Mini Horse Sanctuary stepped into the picture. We had asked the Equine Committee to give us 24 hours to put an alternative plan together. We met with Jeanne to go over all the details and decide that the horses could meet the high standards that we had been given. Jeanne was on board to help us from the very beginning, she has been gracious and supportive. The committee excepted our plan and we moved forward quickly trying to get as close as possible to our original plan. 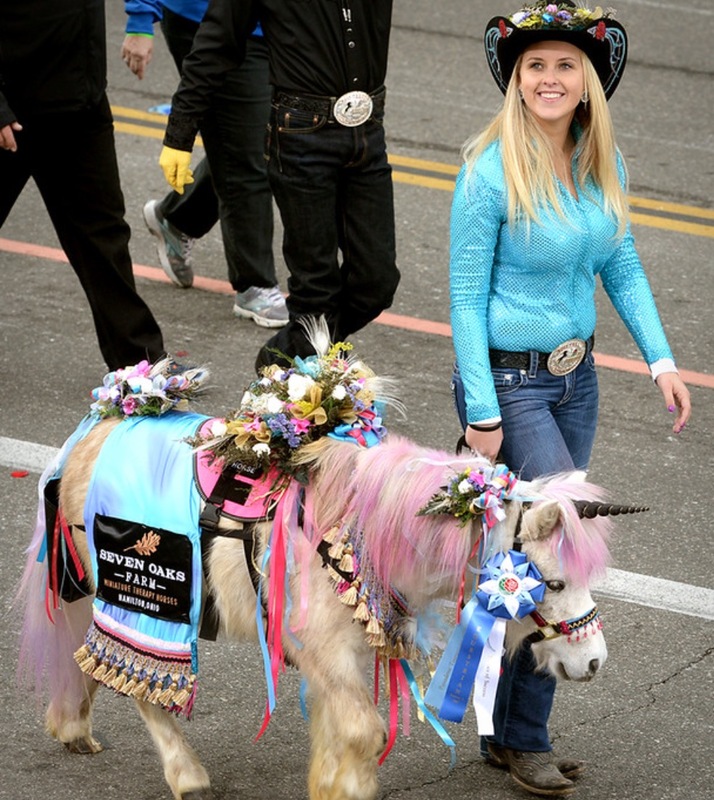 Jeanne provided horses that not only are ready to take on the many demands of the Rose Parade but also look identical to many of our horses that we had brought. We feel our story exemplifies this years theme, Echoes of Success. We have helped many people and groups achieve success though our therapy program and Jeanne has definitely been apart of our success in achieving our participation in the parade. We worked through events that we thought were impossible to achieve. It is because of people like Jeanne and the horse community that we are able to achieve our dream! On Monday, January 2, 2017 Seven Oaks Farm Miniature Therapy Horses and Jeanne's team will be walking in the grandest parade of them all. 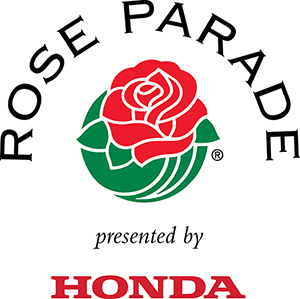 The Tournament of Roses Parade! 3 words to describe our adventures in Texas. Our trip through the heart of Texas was one of the most beautiful sights we have seen. The winding roads and gorgeous rock walls were the perfect scenery for a drive cross-country. We have encountered very friendly and welcoming people, whose generosity and friendliness has brought joy and smiles to us during opportune moments. We've all shared many laughs during this trip across the beautiful state of Texas. We can definitely see why "Everything is Bigger in Texas". While driving here is much different than in Ohio, Interstates have access roads instead of on and off ramps and the speed limit reaches 80 on two lane highways. Each adventure brings a smile and something to remember. Today starts our journey to the Tournament of Roses Parade! We couldn't be more thrilled about this opportunity and the chance to share the joy that our little horses bring to many of those across the nation. Thanks to those who have helped make this dream come true, without you this wouldn't have been possible. Follow along with us as we keep you up to date with our travels and stops on the way.